He picked several different crews for the rough time period of the moon landing and scheduled them. Back-up crew of 7 would fly 10, 8’s back-up crew would fly 11, and so on. There were some changes with the crews of Apollo 8 and 9 led to the make-up of the Apollo 11 crew. Michael Collins called themselves “amiable strangers” because while they worked well together, they were not likely to be found hanging out together away from work. Together, they were a good team. The computer nearly shut down during the lunar descent, which would have scrubbed the mission. Shortly after landing, there was a problem with the Lunar Module’s rocket engine that could have caused an explosion, but it fixed itself. One of the astronauts accidentally broke the ascent engine switch that would get them home, but Buzz Aldrin fixed it with a felt tip pen. There weren’t completely sure the Lunar Module wouldn’t explode as soon as they opened the hatch to leave the vehicle. There was some concern that the oxygen from the LM would combust if the Moon’s dust contained any volatile components. The Soviets were much closer to landing on the Moon than anyone knew. They had vehicle problems. 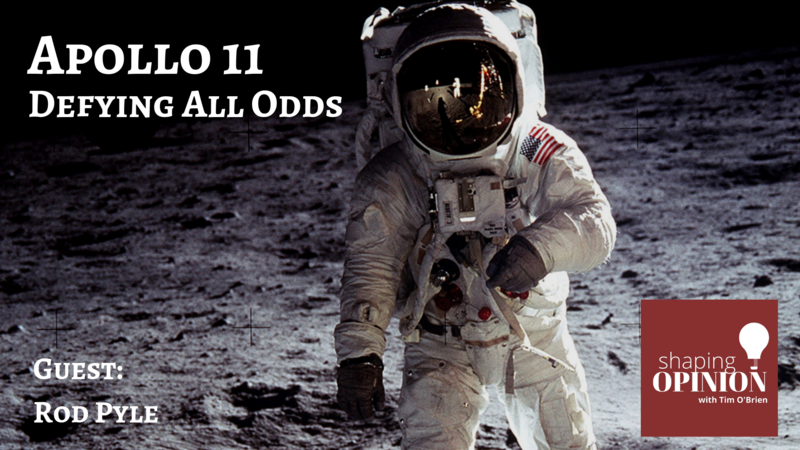 President Nixon had a speech prepared in the event there was a disaster on the Apollo 11 mission. The legs of the lander were supposed to crumple upon impact, but Armstrong was so good a pilot, the landing was soft, so the astronaut has to jump 3 feet to get to the first rung of the ladder. NASA actually captured the Moon on HD video but TV stations of the time couldn’t use it that way. Better images do exist. Apollo 11 left the following artifacts – golden olive branch, American flag, Apollo 1 patch, Moon memorial disk. Also, TV cables, a camera, tongs, a hammer. 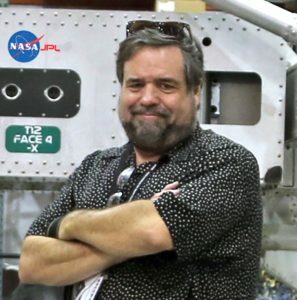 Rod Pyle is a space author, journalist and historian who has authored fourteen books on space history, exploration and development for major publishers that have been published in seven languages. He is the Editor-in-Chief for the National Space Society’s quarterly print publication Ad Astra, and his frequent articles have appeared in Space.com, LiveScience, Futurity, Huffington Post and WIRED. 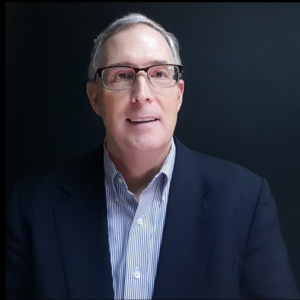 He has written extensively for NASA’s Jet Propulsion Laboratory and Caltech, and authored the Apollo Executive Leadership Program for the Johnson Space Center. His most recent book releases are “Interplanetary Robots” and “Space 2.0” (with a foreword by Buzz Aldrin). 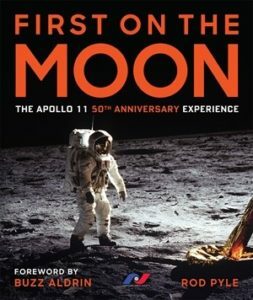 In April 2019, “First to the Moon: The Apollo 11 Anniversary Experience” will be released (also with a foreword by Aldrin), and his previous Apollo books “Missions to the Moon” (foreword by Gene Kranz) and “Destination Moon” are being republished for 2019. Rod appears frequently on national radio and television, with regular slots on KFI/Los Angeles, and WGN/Chicago, and he hosts a podcast called “Cool Space News” on iHeart Radio. He was recently featured on PBS’s “Between the Lines” and C-SPAN’s “Book TV.” Rod holds an MA from Stanford University and a BFA from the Art Center College of Design. He lives in Pasadena, California.